Charity sector communicators can learn a lot from these headlines.They’re taken from the July issue of Men’s Health magazine. 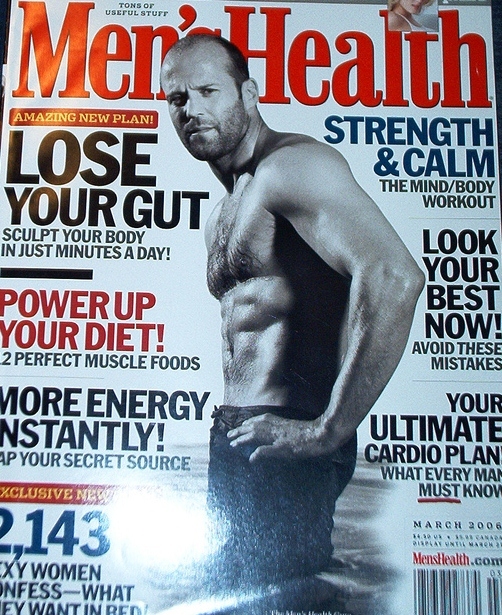 Like any effective publication, pick up a copy of Men’s Health, read by a quarter of a million people every month, and you’ll know instantly what it’s all about. You’ll get an idea of who the reader is, their hopes and desires and why they buy the magazine. Ask a Men’s Health journalist what their reader might do on the weekend and they’ll, sigh, and whittle off an answer: “Go for a half-hour jog they thought would be an hour’s run, plan their next week’s meals, watch the match at their mates BBQ, shop for the latest gadgets and have a few beers at the pub, but then feel guilty about them the next day.” Or something similar. As a charity communicator, you need to be able to do the same thing for your target audiences. Know your audience well and you’ll be more easily able to persuade them to donate, or change their behaviour.